This giant is located within the Nalychevo Nature Park where special attention is paid to the ecology. In the summer, riding any sort of transportation at the volcanoes’ base is forbidden. In the winter, you can reach this magical place on your own two feet…on the condition that your feet are ski touring. 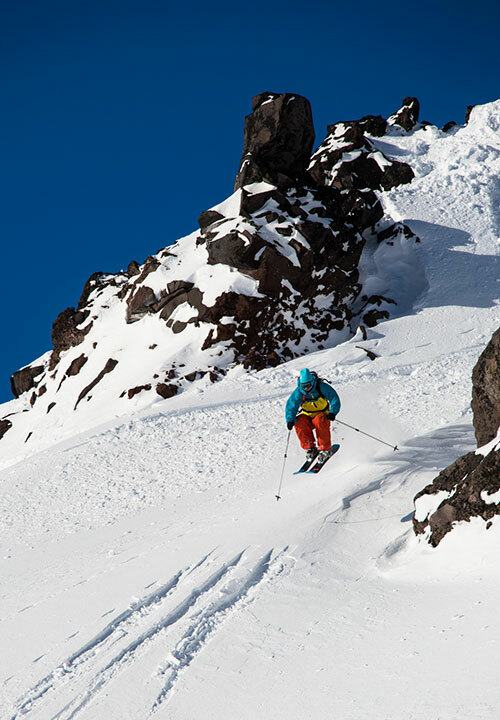 Ski touring, or ski alpinism, makes mountain slopes not equipped with mechanical lifts or cableways accessible. It’s possible to make your way to even the wildest parts of the Kamchatka peninsula. Kamchatka offers ski tourists its endless picturesque expands and wide selection.